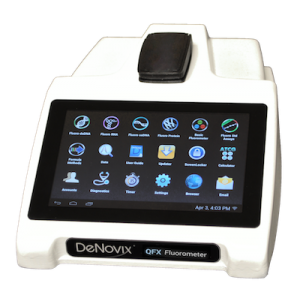 The highly sensitive QFX Fluorometer is a powerful solution for fluorometric applications. 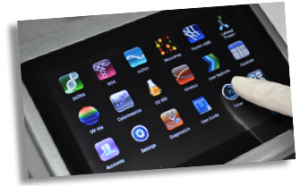 Quantify nucleic acids and proteins using three fluorescent channels and a choice of common assays which are built into measurement apps. Easy to learn. Fast to use. 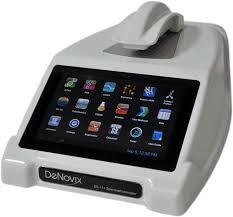 The QFX includes pre-installed DeNovix EasyApps® and is ready for fluorescence measurements right out of the box. 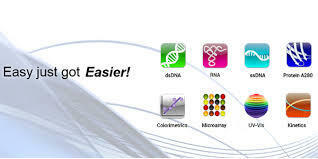 Utilize intuitively designed apps for nucleic acid and protein quantification or easily create custom fluorometric methods for your own applications. Connect to Your Results. 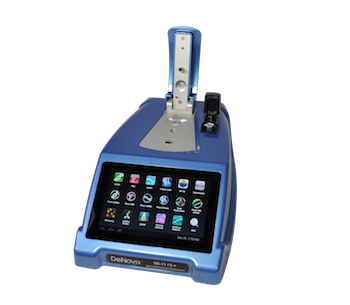 Built-in Wi-Fi, Ethernet and USB allows easy export of data you want in the format you need. 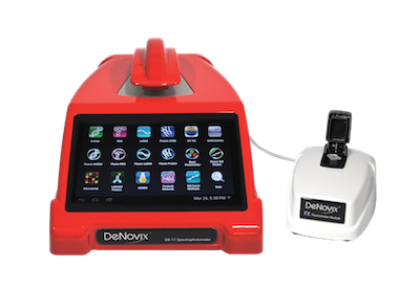 Email your results…save data to LIMS, USB or network drives…print results to network and label printers…and more! 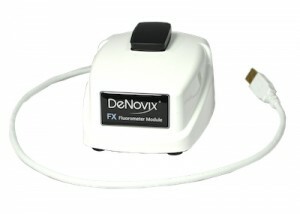 The QFX fluorometer is available in four colors (red, white, blue and silver).